The tiny terror in the new version of CHILD’S PLAY has gotten an upgrade, as seen in the new trailer you can view after the jump. 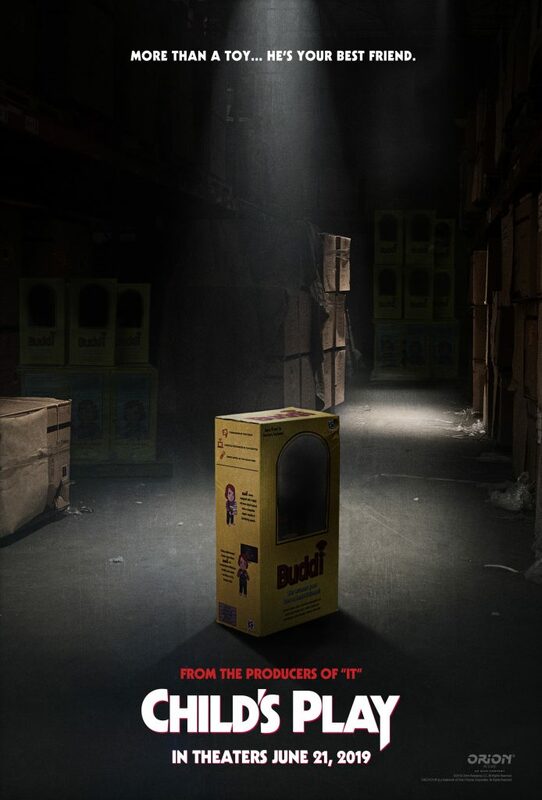 The CHILD’S PLAY reboot hits theaters June 21 from Orion Pictures. Lars Klevberg directed from a script by Tyler Burton Smith; the cast is headed by Aubrey Plaza (LIFE AFTER BETH) as the mother who buys the malevolent toy for her son (Gabriel Bateman), with Brian Tyree Henry as detective Mike Norris and Tim Matheson as Henry Kaslan, head of the corporation that manufactures the doll (Chucky’s voice actor still has yet to be revealed). Todd Masters and his MastersFX company oversaw the doll and makeup effects.